Why Install a Ceiling Fan in Your Perth Home? These instant upgrades can help any room in your home to look better, while also improving the air circulation of the space. Ceiling fans are a reversible addition to your home, meaning that they are able to bring the warm air down to your best comfort level during the winter months, while distributing the cool air out during those sweltering summer months. With this, you will be able to use less power in cooling and heating your home, while at the same time avoiding cold and hot pockets within your house! With all of these benefits coming from a simple upgrade to your home, it’s no mystery why this is one of the best upgrades to your home for the amount of effort that goes into installing it! Here’s everything you need to know about ceiling fan installation in Perth. Ceiling fans must be anchored properly to an electric ceiling box, which is designed to handle the weight of a heavy fixture such as this. It also needs to contain not just the wiring, but also everything needed to support the full weight of your new ceiling fan. If you are swapping out a traditional light fixture for a ceiling fan, your electrical box will likely need replacement with a new one that has been rated to support your ceiling fan. For ease of installation, consider buying one of the quick-install ceiling fan options available on the market. These can be installed in just three easy steps. The parts that need assembly will click into place with ease. Try checking with local vendors in your area and conduct the necessary research before you purchase in order to get the best deal possible! Check the joists in your home for any plumbing pipes or wiring that might be in your way prior to installing your new ceiling fan. You’ll also want to ensure that the electrical box you’ll use to hold your fan in place has been fan-rated – this ensures that it has been designed to handle the increased weight of the fan. You will also need to remember to turn off electrical power to your fan using the electrical panel and to use an approved testing device to make sure that the power is completely turned off before starting your installation. Your wall switch might not be enough to protect you from electrical shock, and it is better to be safe than sorry! Finally, if you are adding a fan where there currently isn’t one, you might want to consult with the local building code department and see if you will need a permit to do this kind of work! 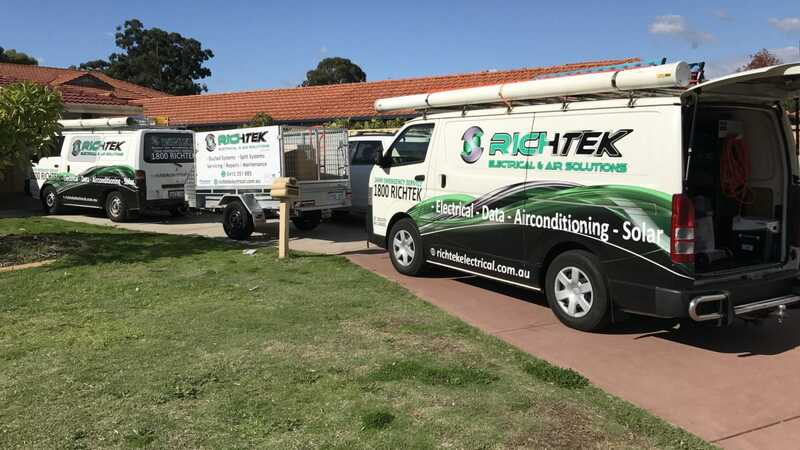 Depending on whether you need a permit or not, and how complicated the wiring project may be, calling in a Perth electrician to help you install the fan correctly may not be a bad idea. Ceiling fan installations in Perth are a great way to upgrade your home with a simple home improvement project. Do you think your home could benefit from a new ceiling fan? Get started by reaching out to a local electrician today!